API Keys are used when integrating with another app. 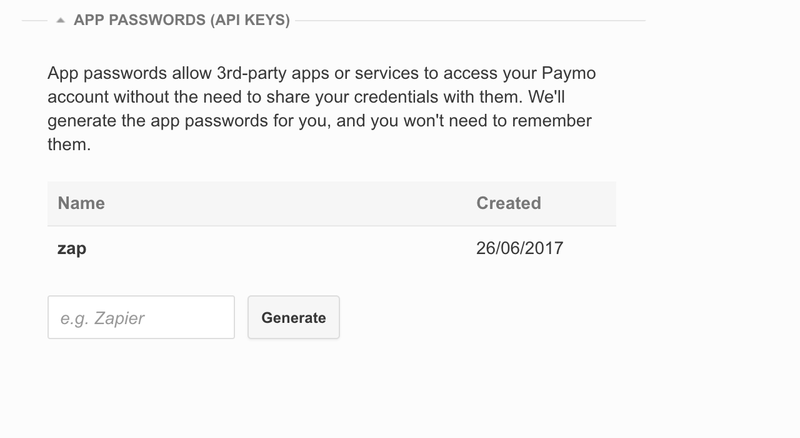 Most apps require an API key in order to sync, and you can create one in Paymo and copy/paste it in the desired app. This way the app will know which account to connect to. You can create one in Paymo by clicking on your name (bottom left) → Your Settings → API Keys.